Some tomato sauce is so good that you almost want to eat it straight from the jar, and when you make that tomato sauce into a soup, this is the soup you get. 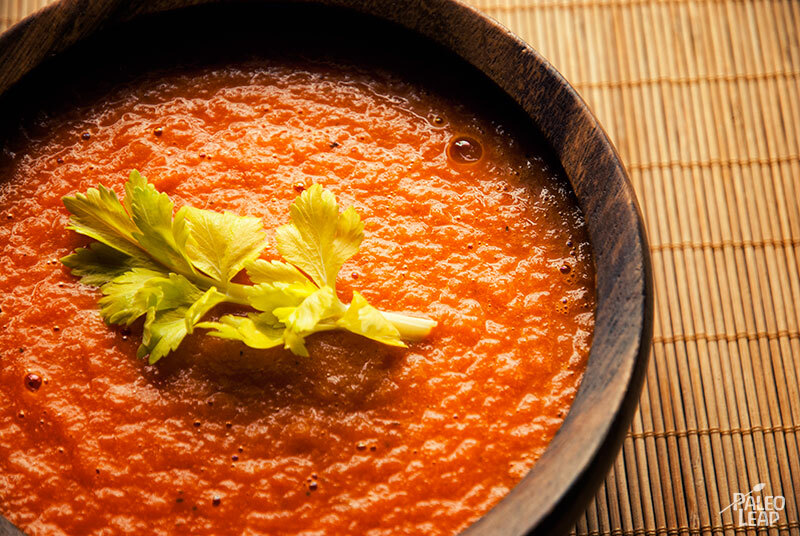 It’s a study in the power of fresh, wholesome ingredients: if you’ve never tried tomato soup that didn’t come out of a can, you owe yourself the pleasure of a big steaming bowl fresh off the stovetop. 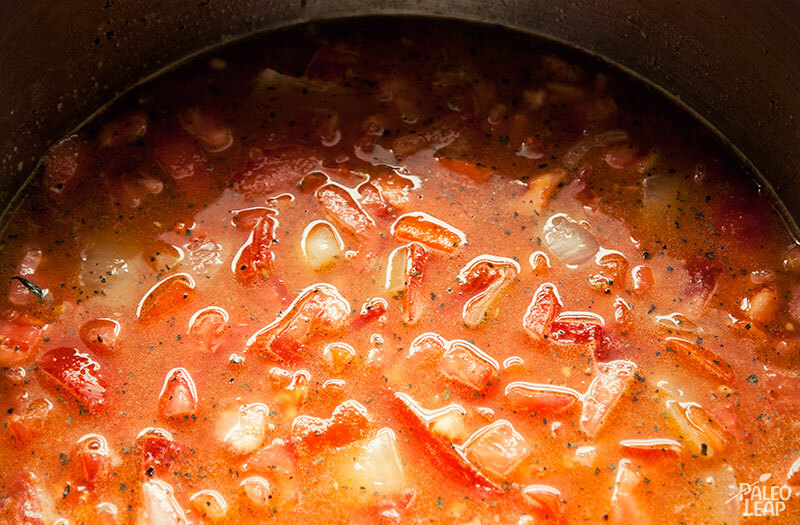 This is a perfect food when there’s a cold going around; the bone broth makes it easy on the stomach and it’s very nutritious thanks to all the tomatoes. And don’t skimp on the fresh basil, either; it really adds a flavor that you just can’t get from the dried spice. Try this as a side for some other traditional “comfort food” dinner like roast beef or butterflied chicken. Or for a lighter lunch, why not have a bowl of tomato soup with some chicken salad. It even works just as well with a fancier dinner like veal. Alternately, just snack on a bowl by itself – maybe with a sprinkle of bacon or cracklings on top to really bring out the flavor. Add some cooking fat to a large saucepan placed over a medium heat and cook the onion and carrot until soft, about 10 minutes. Add the tomatoes, tomato paste, basil, and chicken broth. Season to taste with and salt and pepper and stir everything together. Bring to a boil; then lower the heat and let simmer, uncovered, for 30 minutes. Stir in the coconut milk. Then either use an immersion blender or remove the soup to put it through a food processor until smooth.